My journey as a creative intern began last spring when I received an email from one of my professors detailing an internship opportunity with SalterMitchell, a Public Relations firm that specializes in behavior change through effective communication. After researching their web presence, I was immediately intrigued when I discovered their ihatehimsomuch.com campaign. Judging from the URL alone, I thought to myself how unordinary it was. Taking a deeper look, I found evidence of an initiative to “help couples thrive in relationships and prepare for the commitment of marriage.” I thought to myself again, what a wonderful idea: the promotion of improving our human experience through ADVERTISING. I had always associated advertising with malicious intent; imagining corporate CEOs and their minions trying to coax people into investing their time and money into their products and services. I was content with finally breaking this association. As a designer, I strive to stay away from those selfish objectives and look to promote ideas I believe in. Excited to have found a rewarding opportunity, I quickly replied to their email expressing my interest in their Graphic Design Intern position. I provided a portfolio of my work and within a few weeks, I found myself in their cozy office designing the landing page for a soon-to-be launched website. At SalterMitchell, our mission is to stimulate change by making a good cause fun and relatable. We provide ways for people to take action and make a difference. With locations in Washington D.C., Orlando, and downtown Tallahassee we all work together to breathe life into various campaigns on the behalf of passionate people, organizations, and businesses all around the nation. With this in mind I proceed to create visual interpretations of ideas, concepts, and text that are compelling and conducive to the goal at hand. Under the direction of multiple creative directors and other designers, I have been learning to apply my abilities in effective ways, across multiple projects. So far I’ve created various illustrations for non-profit organizations such as The Health Trust under their Good. To Go. 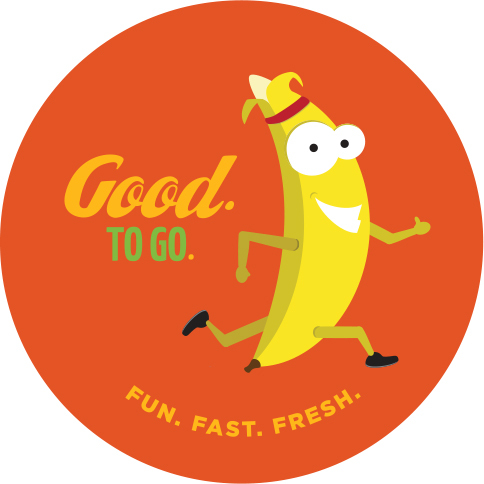 campaign, which promotes healthier snacking with fruits and veggies. I’ve contributed to branding proposals with logo designs, developed newsletter templates, created posters, stickers, coupons, banners, and many more deliverables while on the SalterMitchell creative team. In addition to expanding my design competency, I have responsibilities that help the management of our projects go as smooth as possible. While keeping track of billing hours, meeting deadlines, and contributing to conceptual development, I have been learning to stay organized and communicate effectively with my fellow coworkers. I am fortunate to have the opportunity to contribute my knowledge and abilities to an expanding, thriving company with such positive objectives. Not only do I have a chance to be an important part of these campaigns, but I also get to do it in one of the most friendly, warm, and professional environments I have yet to encounter. I attribute this experience to the visionary creators of the company, April Salter and Peter Mitchell. Their passion for positive behavioral change inevitably trickles down to all employees in every office and fabricates the DNA of their agency. Being a creative intern for SalterMitchell truly is one of the most favorable positions I can imagine myself in while concluding my undergraduate degree. I hope to one day become a more permanent part of their creative team to continue the exploration of behavior change and expand their business opportunities.